For many people, visiting South African game reserves is all about ticking off the ‘Big Five’. But people rarely think about the other, more enigmatic animals that most of us won’t ever get to see. 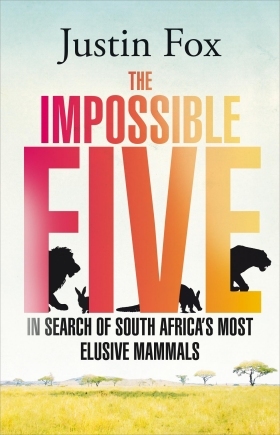 In his latest book, THE IMPOSSIBLE FIVE, Justin Fox documents his search for Africa’s five most elusive mammals: the cape mountain leopard, aardvark, pangolin, naturally occurring white lion and riverine rabbit. Each of these creatures are far more spoken about than actually seen, occupying a space somewhere between the physical realm and the stories of public mythology. In the tale of his humorous and at times frustrating journey, Justin provides compelling insights into wild South Africa and the local game-ranging and natural-science industries.